AUDI 100 1977 - 1994100 QUATTRO 1991 - 1994A1 2011 - 2014A2 2000 - 2005200 1980 - 1991. The application data supplied serves as guide only. RS6 2003 – 2014 S6 PLUS QUATTRO 1996 - 1997RS7 2014RSQ3 2014TTRS 2010 - 2014V8 1989 - 1994. Enhance your Range Rover Sport by fitting one of these Autobiography "SVO" Style power outlets. These are not genuine Land Rover parts but could be used as an alternative to Land Rover PN LR072355. Range Rover Sport. Cold Cathode Fluorescent (CCFL). 2 x BLUE 7" CCFL. 2 x BLUE 13" CCFL. 2 x Wire 11.2"(L). For cars, motorcycles or computer cases of 12 Volts. Part Number: 951202L1004X. NEW Genuine Hyundai Parts from Hyundai Main dealer. This item may be listed for your vehicle model but there are variations between models. Ralliart Cigarette Lighter! 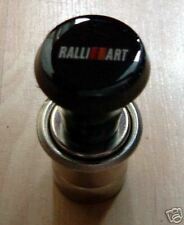 - ultimate gizmo for the Ralliart Fan. Surely an Evo owners must have! Enhance your Range Rover Evoque by fitting one of these Autobiography Style power outlet trim kits. Range Rover Evoque. Autobiography Style Power Outlet Trim. This surround fits using pre-applied automotive grade self adhesive foam tape. Trico " Cig-Lit" cigarette lighter. Will suit any 60's or 70's saloon or sportscar. 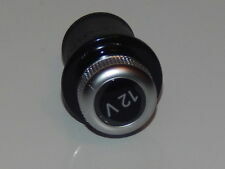 LONGER KNOB TYPE WITH 2 NOTCHES ON THE BOTTOM EDGE. These are not genuine Land Rover parts but could be used as an alternative to Land Rover PN LR072355. Enhance your Range Rover L405 by fitting one of these Autobiography "SVO" Style power outlet trim kits. Range Rover L494. Autobiography Style Power Outlet Trim. Enhance your Range Rover SportL494 by fitting one of these Autobiography "SVO" Style power outlet trim kits. This surround WILL FIT all original Land Rover Power outlet plugs. From late 2001 E46 318iSE touring. 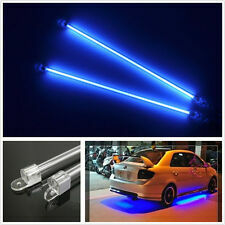 Special Features: Designed for use on Car Head Lamp. HSE Luxury Style Power Outlet Trim. Enhance your Land Rover Discovery by fitting one of these Autobiography "SVO" Style power outlet trim kits. Land Rover Discovery 5. This surround WILL FIT all original Land Rover Power outlet plugs. Designed to fetch direct power from the car by connecting to its socket, CarBase replaces the used car socket and added two more for charging use. Three 12V/24V cigarette lighter sockets (DC outlets) provide a total power of up to 120W, enough for simultaneous use of a variety of portable appliances in your vehicle. Car Cigarette Lighter. Socket and Plug. 12V Universal. ; on request! Car Cigarette Lighter. Socket and Plug. 12V Universal. Heater Motors. Fan Couplings & Magnets. Belt Tensioner Wheels & Bkts. Cigarette Lighter. Suspension Ball Joints. JP GROUP,FEBI,VIEROL,Or-Equivalent. 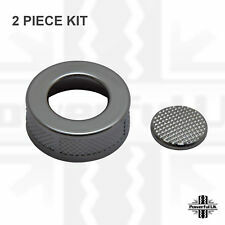 Wheel Bearing Kits. Rear Lights. 1073958, 98AG-15052-AB. GALAXY 2006 - 2012. S-MAX 2015 ON. RANGER 2012 ON. MUSTANG 2015 ON. MONDEO 2014 ON. ASHTRAY OBJECT-HOLDER. Set composed by ashtray object-holder. You can use them as ashtray, porta coins. When you open the top cover lights a blue internal led. All the products. Debit or credit. Range Rover Velar. Enhance your Range Rover Velar by fitting one of these Autobiography "SVO" Style power outlet trim kits. Autobiography Style Power Outlet Trim. These are not genuine Land Rover parts but could be used as an alternative to Land Rover PN LR072355. GENUINE BMW cigarette lighter socket. Car Cigarette Lighter. Socket and Plug. 12V Universal. Illuminated ?. Genuine Honda part. We are here to provide a quality service and solve any problems which you may encounter. UNIVERSAL CIGARETTE LIGHTER. Universal cigarette lighter car. If that doesn't work make sure that do not have your vehicle blown fuse. Leave the burner struck for a few seconds until warm inside. SATISFIED SINCE 2006. Enhance your Range Rover L322 by fitting one of these Autobiography "SVO" Style power outlets. Range Rover L322. 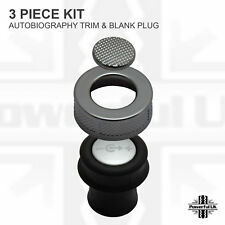 Autobiography Style Power Outlet - 3 pcs kit. These are not genuine Land Rover parts but could be used as an alternative to Land Rover PN LR072355. Item Specifics:2009-2013 - MK1 - 5 DOOR - HATCHBACK - RIGHT - SIDELIGHT - 2 PIN PLUG. Model:PUNTO EVO. PUNTO EVO 2009 -2013 Mk 1. UNIVERSAL CAR LIGHTER 12V. Color: Black. To fit most cars with a standard cigarette size socket. Illuminated ?. 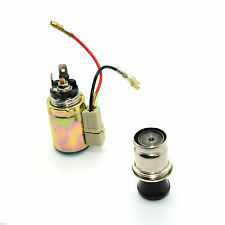 12V Car Cigarette Lighter Socket Plug ?. 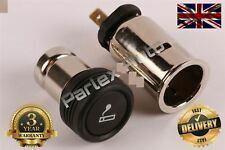 Car Cigarette Lighter. Socket and Plug. 12V Universal. Car Accessories. Sw-motech is one of the world's largest motorcycle accessories. Dual purpose 12V plug. With the red collar on it will fit into a standard cigar lighter socket. The collar can be removed it will then fit a Hella style single pole socket, i.e. 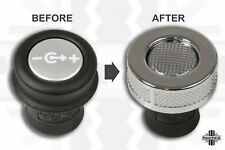 can be used as two different plugs hence dual purpose. Fused cigar light plug. This is a quality item for a very good price. PRODUCT DETAILS. 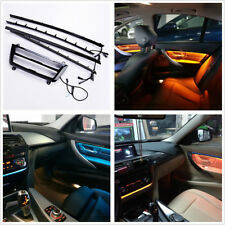 Fit For Audi Q5 8R 2009-2015. Easy Installation, 3M automotive adhesive tape is attached. Material:Made Of High Quality Stainless steel. If our product doesn’t fit to your vehicle or you are unsatisfied with any aspect of our service. Item Specifics:2001-2005 - MK2 - 4 DOOR - SALOON - COURTESY LIGHT - DELPHI 8E0951177 - 70103105. A4 2001 -2005 Mk2 (B6). Part:Courtesy Light. This Courtesy Light was removed from a2001 car and has been fully inspected. W4 In Line Cigar Socket. 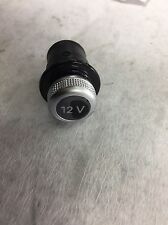 Single in line 12 volt auxiliary cigar socket. Suitable for powering portable devices and is designed with a rubber cable protector. This is a quality item for a very good price. Zigarettenanzünder mitgrüner LED Beleuchtung -. Kostenlose Gallery von. Excenterschrauben Versatzschraube M12 x 1,25 Alfa FiatEUR 2,49. Lochkreisänderung Versatzschraube M12 x 1,5 Opel VW 33mm NEUEUR 2,49. 1 into 2 12V cigarette lighter adaptor. This is a quality item for a very good price. PRODUCT DETAILS.